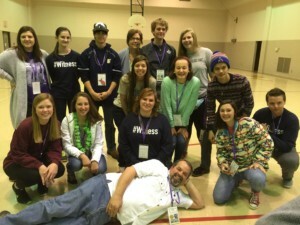 Thirteen teens from the Southern District attended the Teen Leadership Institute, hosted by the Board of Youth Ministry in St. Louis on March 17-20. The theme was “Teens Reaching Teens in the Digital Age.” These teens are trained and prepared to lead your youth groups through the workshop! Contact DCE Cindy Namanny for more information (dce@orlcms.org or 601-924-9999). St. Paul (Montgomery, AL), Grace (Pensacola, FL), Trinity (Dothan, AL), Trinity (Meridian, MS), and Our Redeemer (Clinton, MS) were represented at the St. Louis training.